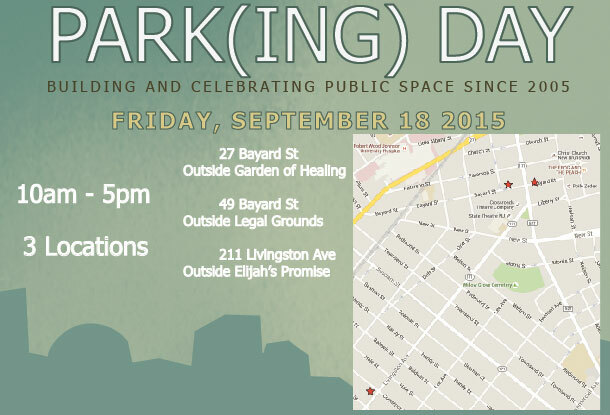 PARK(ing) Day is a annual event where citizens, artists and activists collaborate to temporarily transform metered parking spaces into “PARK(ing)” spaces: temporary public places. The project began in 2005 when Rebar, a San Francisco art and design studio, converted a single metered parking space into a temporary public park in downtown San Francisco. Since 2005, PARK(ing) Day has evolved into a global movement, with organizations and individuals creating new forms of temporary public space in urban contexts around the world. This years parking day was a huge success. This video shows this year’s park(ing) festivities in New Brunswick. For mor information on this years PARK(ing) Day go to www.parkingday.org.